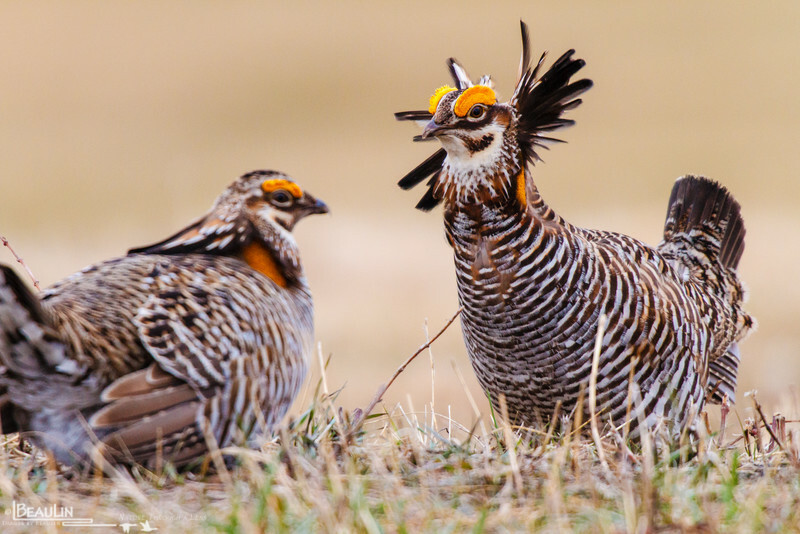 Two male prairie chickens squaring off along their shared territory boundary. The wind caught the right male's pinnae, reminding me of a blurred helicoptor rotor. Among prairie, or pinnated grouse, the pinnae feather are most prominent in prairie chickens.